Father’s Day 2016 is this Sunday, June 19th, and we’ve pulled together a few freebies to help you show your appreciation without breaking the bank! Free small cup of frozen yogurt for Dad on Father’s Day. Dad’s eat free on Father’s Day at locations in Texas, Florida, Ohio, Oklahoma, New York, Pennsylvania and Tennessee. 10 free boneless wings with the purchase of a beverage and any 10 boneless or Original Hooters Style wings on Father’s Day. Dad’s get a free Build-Your-Own Sundae on Father’s Day. Coupon here. Free chili dog for all dads on Father’s Day. Coupon here. Dads Eat Free offer on June 19, 2016 includes a free entrée with a purchase of equal or greater value, is dine-in only, one offer per check and does not include beverages. 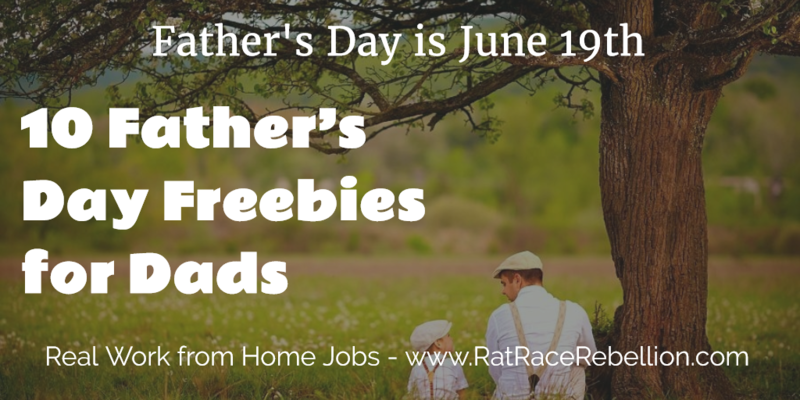 Free slice of Pecan Pie for all dads. Dad’s eat free with purchase of equal or greater value up to $10. This entry was posted in Freebie and tagged Father's Day. Bookmark the permalink.